The Washington Poison and Drug Information Center has seen over a 1,000% increase in call volume on e-cigarettes and liquid nicotine from 2012 to 2014. Of the total 182 calls answered by the WAPC, 109 were in children 1 – 3 years of age (60%). Children 1 – 3 years of age also comprised 82% of the total pediatric calls handled by Specialists in Poison Information. The majority of exposures (n=121) were considered unintentional general exposures and occurred primarily in children less than 5 years of age. 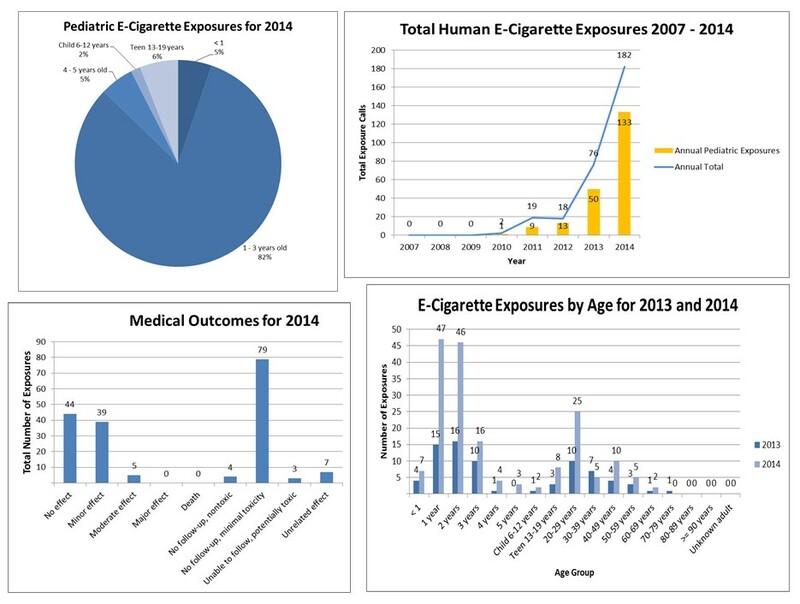 Toxicity from misuse of e-cigarette products was the second most common reason for exposure and occurred in adults greater than 20 years of age.